George Barnes is the first known person in the Barnes family. He was born in Attleborough, Nuneaton, Warwickshire, about 1811. 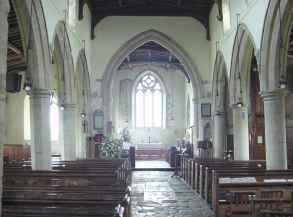 The church at Attleborough had not been built at that time so he could have been baptised in the nearby village of Chivers Coton, but there is no evidence either way. It is not known whether he arrived in Aylesbury with his family as a child or whether he moved to Aylesbury by himself, but it is likely that the coal trade and the development of Aylesbury as it grew gradually more dependent on the industrial revolution were the important factors in the move. Local coal mines and a system of canals for moving the coal - or other heavy goods - had already created a web of communication over a large area of the Midlands. George is first found at his marriage in Aylesbury in 1834, which means he would have been there for some time previously. He appears in the 1841 Census as a boatman and later as a coal carter. The earliest positive date for George is his marriage to Mary Hedges on Christmas Day 1834 in St Mary's, the parish church of Aylesbury. Mary was born in the village of Whitchurch, a few miles north of Aylesbury, about 1811 but the family had probably moved into Aylesbury some years before her marriage, part of the general drift into towns. St Mary's was then the only church in Aylesbury, Holy Trinity, the church in the hamlet of Walton only being opened in 1845. Most of the dates above have been obtained from both the IGI and FreeBMD. It does appear that three of the children were baptised within days of their birth and that later the gap was much larger. The IGI gives the parents' names so can be considered more accurate here; the only birth certificate obtained to confirm the information is for James. 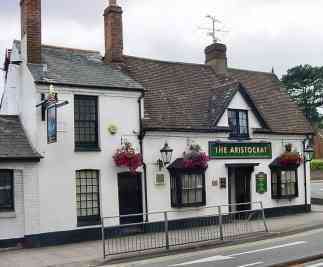 The Horse and Jockey in the hamlet of Walton should not be confused with the larger one in Aylesbury itself, which is no doubt why in more recent times the Walton one was renamed as the Aristocrat. All references here are concerned only with the Aristocrat, the 'local' in Walton. It is occasionally difficult to know which is which, as for example when one was licensed before 1842, steeple chasing having begun in the area about 1835, and for which one a Beechey family held the license in 1851, but their origins must have been very similar. In 1851 George and Mary were living with their family on Walton St and ran the Horse and Jockey there after 1851 as can be seen from a list of addresses given in the censuses. Directories 1864-1869 beer retailer Horse & Jockey "
Census 1871 64 coal labourer Walton St "
Census 1881 70 general labourer 45 Walton St "
Walton St, formerly a turnpike, runs south-eastwards from Market Square and by 1824 it was already built up all the way to the hamlet of Walton. The address is now given as Wendover Rd but this is continuous with Walton St. The open patch of land which was opposite is now reduced to a traffic island though it has given its name to the area as 'Walton Green'. It was approximately at the end of that branch of the Grand Union Canal, which was soon one of the most prosperous canals in the country. No. 43 was the Bear Inn. Walton parish church, and no. 42, the Baptist Chapel were on the opposite side. Most of the old houses in Walton St have long gone in various rebuilding and road-widening schemes. George and Mary's son John became a bricklayer - there was plenty of building work as Aylesbury was expanding very rapidly at this time - and their other sons were 'carters'. The Horse and Jockey was and is at no.3 Wendover Rd, but is now renamed as the Aristocrat, occupying nos 1-3 as can be seen in the photo. The name 'Horse and Jockey', from 1842, came from steeple-chasing which began in 1835 but the 'ale-house' is claimed to be 17th century. Thomas James Barnes was born here in 1868, though his parents had moved into a cottage facing the canal by 1891. In 1881 the 'ale house keeper' was an 'Army Pensioner Col. Sgt', (Colour Sergeant) William White. It now stands on the end of a large 'traffic island', such a busy junction that it is difficult to imagine what it was like when the Barnes family lived there. The address as just 'Walton' over the census years may apply to this ale-house, though the schedule for 1851 shows the Barnes family at no.150 and an innkeeper at 138 in the middle of 'Walton St'. In 1861 Sch.no.101* is named as the Horse and Jockey. The Barnes family often had other relatives living with them. In 1841 and 1851 Mary's younger sister Elizabeth Hedges, born about two years after Mary, was living with them and working as a silk weaver, perhaps ever since they were married. In 1861 they had another lodger in Mary Chandler, a plaiter, also born in Whitchurch and perhaps related. (The enumerator put 'Attleborough' for George's birthplace but 'N.K.' (not known) for the county but in 1871 another enumerator wrote 'Attleborough Worcestershire'.) In 1871 their son John and his wife Mercy lived with them and then next door at no.47 in 1881 when George was given, correctly again, as born in Nuneaton, Warwickshire, Attleborough being by then a suburb of Nuneaton. A plaiter would be a straw plaiter, a trade which is described in detail and illustrated with line drawings, along with silk weaving and lacemaking in Cottage Industries by Marjorie Filbee (David & Charles, 1982), a book of special interest to anyone practising these crafts today. The women usually worked at their trade at home, either selling their goods themselves or being paid for piecework, having been taught the rudiments at home from even as early as four years old. By 1884 at least, but perhaps much earlier, there was also a silk factory in Walton. The canal had of course brought the coal barges, and with Attleborough being a coal mining district those two influences, of barges and coal, heavily influenced George's occupation in Aylesbury. George and Mary were living at no.45 Walton St in 1881 and Jane, 29, a printer compositor was still at home. On the other side at no.43 was the 'Bear Inn', but the boundary between the parish of St Mary's, Aylesbury and the parish of Holy Trinity is marked in ink in the 1881 census as a thick line between the Bear Inn, no.43 (Sch.134) and George's house, no.45, (Sch.135) and the parish churches marked in the right hand margin usually reserved for handicaps. So this is of course also the boundary between Walton and Aylesbury. On the other side of the road the boundary is marked near the Baptist Chapel at no.42. The image at this point has the house number cut off on the left side, but hopefully this will soon b rectified and more precise information given. The Baptist chapel is of interest because Mary Jane Stockwell, who married George's son James in 1867 in Holy Trinity Church, was formerly a Baptist. Both George and Mary died in 1882, George in the Mar Q and Mary in the Sep Q.
Henry George Barnes b. Dec Q 1860 in St Pancras, m. Martha Alice Baker in 1885 in Fulham; 3 children (Elsie Constance 1888, Henry George 1893, Florence Mabel 1894). The family appear in all subsequent censuses, still in St Pancras in 1911, Elsie working in a paper factory, Henry jun. a butcher (previously a warehouseman) and Florence working in a chemical factory. Emily A.A. Barnes (Mar Q 1866 Islington) It seems Emily died in the Sep Q 1876 in St Pancras (initials not given). Her age is given as 9 but should have been 11. Euphemia Mary Barnes (Sep Q 1870), m. John William Smith on 16 Jul 1890 [Free BMD Islington Vol 1b p.465]; living at 73 Lennox Rd in Islington 1891.In 1901 John is listed as 'Railway Ballast Train Guard', living at 5 South Rd, Southgate, Mdx. Not very surprisingly John was working on the railway, as a platelayer's labourer. In 1911 the family was living in 7 rooms at Compton Ho. Wetherill Rd, New Southgate London (N.Mdx) with their eleven surviving children (names and dates available if required) out of 12 altogether by then. John and son William were working as milk carriers for the firm of Davey & Son and Harold was a porter in a drapery store.A link online suggests that one at least of the children emigrated to the States and married into the Mayo family of Missouri. Ernest James Barnes (Sep Q 1874) was a seaman in the Royal Navy by 1901, a boarder in Sheerness. Not identified in 1911, but perhaps at sea. A probable match is an Ernest James who married in the Jul Q 1904 in Lewisham but with two 'candidates' for his wife, an Emma or an Emily, the names are too common to find without the presence of Ernest. 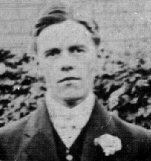 Alfred Thomas Barnes (Jun Q 1879) was a railway porter in 1901, still 'at home' at 52 Blundell St aged 22; by 1911 he was a railway signalman having married Nellie Short in 1906 at St Michael-at-Bowes in the London borough of Enfield. Later he became a Railway Station Foreman. He died in 1946 aged 67. Alfred and Nellie had just one son, Cecil. 'Susanna Galloway Barnes' died in Islington in the Jun Q 1904, age indistinct, but the Free BMD guess at 65 would be correct. Richard went to live with his daughter Euphemia and her husband John William Smith and their eleven children in Friern Barnet by 1911, being then 75. (Details on request) Return. 4.. An entry in Chepping Wycombe for a house servant, Mary Ann Barnes, aged 18, could refer to her - name and age are correct - but her birthplace is given as Great Marlow which is not, as she was definitely born in Walton, Aylesbury. She was a witness at the marriage of her brother James in 1867 along with Joseph Lovegrove, an agricultural labourer who had been living in Aylesbury at least since the 1861 census. In 1871 she was in Tottenham, Mdx, along with sister Jane, both as nurses in the household of a George Price. The March Q 1874 finds her marrying Joseph Lovegrove at Stourbridge in Worcestershire, (on the west side of Birmingham). Joseph came from that area, having been born at Meriden in Warwickshire, (east of Birmingham) in the Jun Q 1843. It was to be a brief marriage, but over the next few years she had 4 children before Joseph died in the Mar Q 1881. ___Mary Ann was still living in the same house in 1911 with just her daughter Kate who was now evidently supporting her with her dressmaking. They were presumably reasonably comfortable with six rooms for just the two of them. Mary Ann must have filled in the return as she entered details of her children - by mistake as she was now a widow, but she tells us she had had five children of whom three were still living. Alice Gertrude, 16, Kate 14 ,and Joseph 10 living with her in 1891 are the 3 surviving. [Lizzie b.1878 d. 1883 and Emily Jane was b. & d. Mar Q 1880] . Kate never married and died in Aylesbury in 1943. Alice was at last found fairly easily, identified by her 2nd name of Gertrude! She was a schoolmistress in Walthamstow in 1901 but had returned 'home' to Aylesbury to be married in the Jun Q 1903 to Algernon Drewitt, a commercial traveller in the Corn Trade. They were living in Hersham, Walton upon Thames in 1911 with their two children, Gerald Walton (1905) and Kathryn Mary Louise (1909). 8. Jane Barnes, born Jun Q 1851, was still living at home with her parents on Walton St in 1881, now aged 29, a printer/compositor. The firm of Hazell, Watson and Viney from London had opened a new printing works in Aylesbury in 1867 where Jane may have worked, not a long walk from home, probably along the canal. The date of 1852 given for her birth shows that she was the plain 'Jane Barnes' born 1851 - definitely not 1850. The 2nd name does not appear in any census. A record of the birth of a Jane Elizabeth Barnes is dated as the Jun Q 1850, also in Aylesbury! However no Jane or even Jane Elizabeth Barnes appears on the 1851 census in Aylesbury. Mary, Jane's mother, was at home, along with her unmarried sister, Elizabeth Hedges, the 'visitor' who had perhaps come to help as Mary must then have been heavily pregnant with Jane! No satisfactory record has been found for a 'Jane Elizabeth' even without the 2nd name. James became a coal dealer master, his address in 1861 being given as 1 Walton Green. By this time Walton St must already have been largely built up, judging by the house numbers, but this was probably what is now called 'ribbon development'. Originally Walton Green was a hamlet close to but not part of Aylesbury, with green fields between. Although the population had doubled since 1800, until the middle of the century Aylesbury was still roughly the same size. Now the scene began to change very rapidly. As will be seen later the Barnes family soon became involved in the new industries arriving in the town. In 1870 the Condensed Milk factory (now Nestles) opened on Tring Rd next to the canal and with its own wharf and by 1880 it was employing 150 people. The printing firm of Hazell, Watson and Viney began as Hazell's printing works, a branch of the London firm, opening in 1867. In 1879 it moved to new buildings on the Tring Rd.and by the 1880s had about 400 employees. Between them and two later companies that came at the turn of the century they were for a long time the principal employers in the town. They not only drew people from the neighbourhood but many moved from elsewhere, like many of those from Hazell's in London. Between them these firms also provided a workplace where most of the family met their future husbands and wives! Correction: not at the Horse & Jockey as previously thought owing to confusion about the addresses (see above). Although George was definitely the licensee for some years, there is no evidence at present that his son James ever was. In 1881 the 'ale house keeper' was William White, an Army Pensioner. The two boys given as nos.4 & 5 are not proved - they 'fill the gap' and represent two who died. Go to the Barnes photos to see the six sons at a wedding, perhaps in 1908. A sidelight on life in Walton Green was given by James' granddaughter Ethel who repeated a family story about another Barnes family, only the wife's name, Emily being known. Apparently the couple could be heard by all their neighbours in the street 'rowing throughout Walton'. James and Mary Jane obviously did not want to be associated with them! James's wife, Mary Jane Stockwell, had a 1st cousin John Brazell living at 14 Albert St with wife Bessie and three children, Katie, Bessie and Daisy. Like James Barnes he too was a 'coal merchant, master'. James and Mary Jane moved to Canal Terrace and their daughter Jennie (also Mary Jane) lived next door. This was at nos. 21 and 22, 'facing on to the canal and the white bridge'. These houses must have only just been built then but have now long gone. The canal itself, figured largely in the family's history. Thomas, the eldest son, and no doubt the others too, used to swim in it. It was also the scene of an incident which was not reported in the papers but was certainly dramatic enough when Kate rescued a child from the canal. She used to joke about being famous for it, but unfortunately she and the child were the only witnesses. Footnote to these two families, of George and his son James: It is worth noting that in spite of it being a very common name there were in all only three Barnes families in Aylesbury in 1881. The third family was living only a few doors away at 5 Walton Green when James was at no.1, listed as Joseph B. 'Sherman or Barnes' who was 39 and born in Aylesbury. After listing the wife the same way the enumerator gave up and listed all the children as Barnes. Joseph Birch Barnes was 39, born in Aylesbury, and his wife Mary A. was 34, born in Stoke Mandeville. They had 4 children, Rufus 10, Kate 7, Jane 5, and Alice 9 months. Also living with them were Joseph's mother, Elizabeth, 65, born in Chesham, and his married sister, Henrietta Edwards, 22, with her son Albert aged 2. There doesn't appear to be any connection between Joseph and the other two families and there is evidence of various other Barnes in Aylesbury in other years. Census indexes are not always accurate - for 1911 no Barnes were given as living in Aylesbury although it was known that several of the family were definitely there - but eventually found with some effort! (Details below) Some people moved frequently, but sometimes the name of the road or the house numbers changed, especially with postal reorganisation in the 1890s partly due to new buildings in the many gaps. A Charles Scutchings aged 38 lived at 66 Walton St in 1881, an unusual name so perhaps a brother of John's wife Mercy? At No 1 Walton Place was George Eborn. His brother, William Henry Eborn married Ann Stockwell, James Stockwell's daughter by his first wife and was therefore aunt to Mary Jane (Polly) Stockwell. Although George was not therefore related to the Barnes family himself they could have been acquainted. At 52 Kingsbury Square were Brazells, 1st cousins of Mary Jane's Brazell relatives through her aunt Martha, (cousins of cousins) now running James Stockwell's baker's shop. James Barnes died in 1897, then confusingly, Mary Jane (Polly) appears on the 1901 census as 'Martha J.' Other (full) names are given correctly, Kate, Henry, William, Mary J. and Frederick, all still living at home. There was also James and Polly's granddaughter Annie Jessie (Barnes) b.1892 in Aylesbury and still living with her grandparents in 1901 and 1911, a puzzle as her Barnes parent has not yet been identified. It could only be one of the first three. If Thomas or George she should have been born in Lambeth or Newington, but Elizabeth who married and went to live in Kent in 1895, is the 3rd possible parent, aged 21 in 1892. The rest must be ruled out as James was only 15 and Kate 13 etc. The 1911 census has Mary Jane listed correctly and also the information about the extra two births and deaths. Polly entered that detail in error, being by then a widow and therefore not required to do so. (These were the only two births that would fit here and the other gaps between the children are too small for more children) . Kate was still working as a 'book folders forewoman' and she and William, now 37 and working in a milk factory (Nestle's?) were supporting their mother. Annie, now using her second name, Jessie was also working in the milk factory. As a schoolboy, Walter, one of Polly's grandsons, used to ride out by bicycle regularly from the Harrow area to visit Polly, his grandmother - he was very fond of her but was reputed to be rather a tease - and returned home on at least one occasion, 'his bike weighed down by bluebells'. 'Polly' died in 1922, surviving her husband by 25 years. According to Thomas James they only had 6 children altogether, all being alive at the 1911 census. The 7th, Charlie, was born in the Sep Q of that year. Ethel b. 1897 has therefore been removed as not theirs. 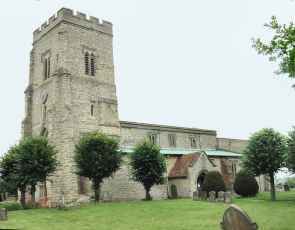 Thomas Barnes left home to join the Guards and the story is told that he climbed up into the belfry of Holy Trinity church, Walton, with a friend where they carved their army numbers on the bells. Whether this particular story is true has yet to be discovered but his army record has him enlisting at the age of 17 - giving his age as 18! His army career was short-lived for he had problems with his chest and breathing and was declared unfit for service within the year. The army recommended a more 'sedentary' occupation, so he returned to working as a bookbinder for Eyre and Spottiswoode where he remained for over fifty years before retiring. Thomas James Barnes and Ada Beatrice Cope married on 22 Sep 1889. In 1891 they were living at 88, Park Street, Southwark, their eldest child, Edith being 9 months old. There was also an unexpected child listed as 'adopted', an Alfred Ballard aged 4, who does not reappear with them in 1901. It is assumed that 'adopted' was a term used rather loosely at the time so they might just have been caring for him for a while. Their other children were Ida 1892, Walter 1895, Gertrude 1898, Amy 1902, Alecia Ethel (1906) and Edward Charles (1908), the last two known by their middle names. Walter also had the 'ancestral' name of Stockwell. 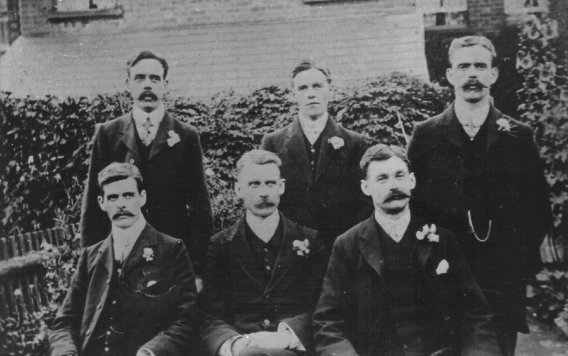 They seem to be arranged with the older 3 at the front, which suggests a daughter's wedding as the groom would surely sit in the centre front. 4 & 5. Joseph and William died at about 5 and one year old respectively. This photo of Fred is taken from the one of all six brothers. With his fair hair and no moustache, being then only about 16-18, he is the only one easily recognised. He enlisted in London in 1916 as a private in the "1st/1st Bucks Bn, Oxford and Bucks Light Infantry" and was sent to fight on the Somme. He died in the attack of Sunday, 23 Jul 1916 and is buried at Orvillers Military Cemetery in France, his name being engraved on the War Memorial there. He was aged 28.